This original play, collectively devised under my direction, playfully unpacks the complex experience of Gringas learning to live in Chile, as well as the impressions local Latinas have of them, highlighting laughable misunderstandings and celebrating intercultural exchange. 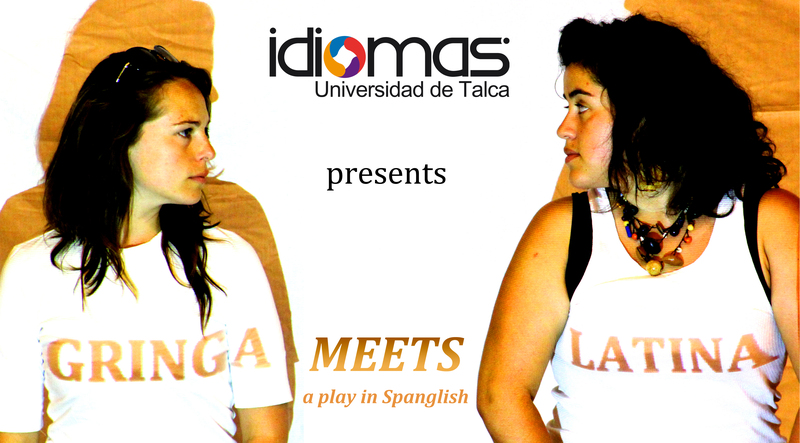 It was an educational theatre project, sponsored by the Programa de Idiomas of the Universidad de Talca, intended to inspire local English students to reflect on the Gringa-Latina encounters that are becoming ever more a part of their everyday lives, in order to help them make active choices about what role they want to play in the multicultural future of the Americas. It was presented for audiences of university and high school English students on all five campuses of the Universidad de Talca and in high schools in various cities across the Maule Region of Chile during 2014.